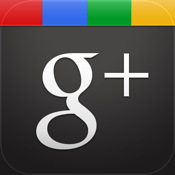 The official Google+ iPhone app is here and ready to bring your Google+ experience to the mobile environment. The application is free right now in the iTunes app store, CLICK HERE to check it out. Hereâ€™s a list of the appâ€™s features, along with their descriptions. – Circles let you share the right things with just the right people. – Stream is where you can get updates from your circles or see what people are saying about things nearby. – Huddle is super-fast group messaging for everyone in your circles. Apple finally approved the Google+ app and it’s already being downloaded like crazy, but there are a couple things to know before you go out and download the application. Fist off, if you are a iOS 5 beta user the application will not work and will crash every time you start it up. Second off, it’s really buggy in iOS 4 and crashing of the application will be frequent but for the most part it seems to stay stable. For now, Google is aware of the problems with the application and is working hard to fix them, knowing Google they just wanted to get something out into the marketplace to see how users react and download the application. I’ve been able to play around with the Google+ app and I love it, better than the mobile version that you use in Safari. Hopefully Google will address the issue quickly and make the application even better than it already is. If you’ve downloaded the Google+ app, let us know what you think and give us your impressions on it.